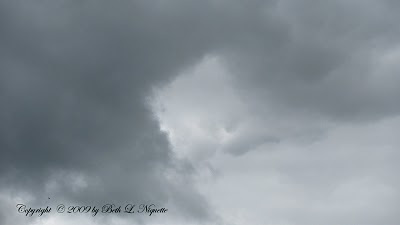 I caught this perfect heart floating over the neighbors house. 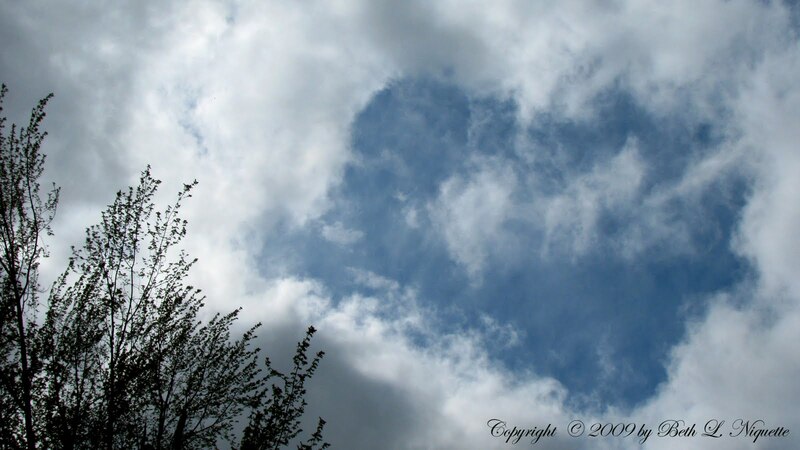 It is as though someone threw a heart straight out from the clouds. 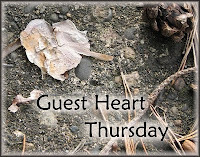 For more wonderful heart art, photography and altogether fabulous heart stuff from around the world, visit Clytie at Random Hearts for Guest Heart Thursday. 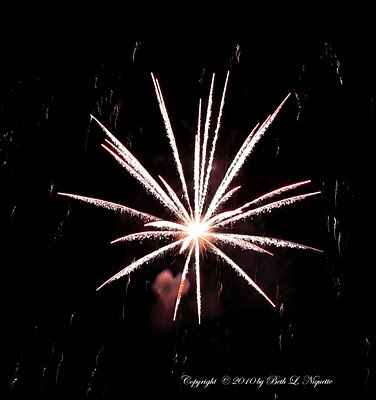 Every year our little town puts on a spectacular fireworks show for the Fourth of July. 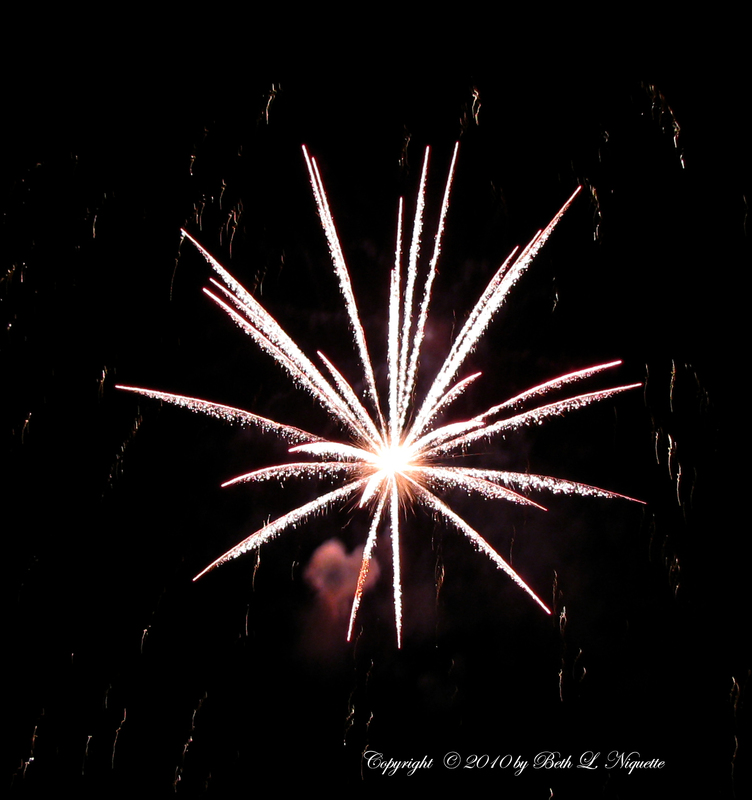 I was astounded to catch this heart cloud lingering in the sparkle of fireworks. I did not touch this amazing photograph up in any way. When I headed out to weed in the garden, I did a double take--a giant ball was floating overhead. Of course, I had my camera by my side and clicked several photos before it bounced on its way across the skies. If we believed as the Greeks and Romans, we might have thought the god's were playing a game of baseball? You can almost see a giant hand grasping the ball in this picture! What on Earth is THAT?! 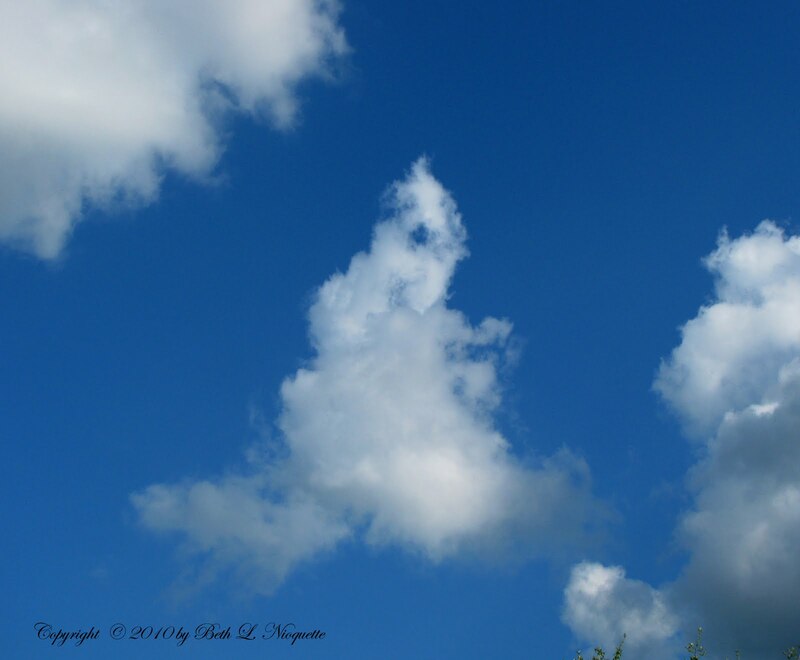 I was singing to the birds one lazy summer afternoon--then noticed a cloud had turned to look at me. And with only one eye. I am constantly amazed by the imagery found in the skies. Last week I happened to catch this glowing heart as it drifted over the back fence. If you look closely, you can find an even smaller heart within the larger one. Yesterday I was taking a rest from power washing the outside of our home, when I noticed glitter in the skies. As long as I looked into the sun from the shadow's edges, I could see the swirl of what seemed to be Faery Dust! When I looked at the photo on my computer, the clouds were a lovely rainbow of blues and pinks. A truly magical moment. I believe this Fairy Dust might be various seeds floating in the air, which were only seen when looking at them from a certain angle. 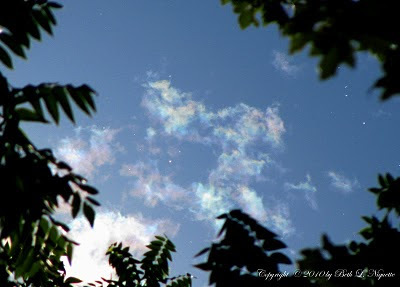 Though the sky was thick with sparkles--my camera could only catch a few of these tiny reflectors! For more wonderful reflections from around the world, be sure to visit James at Weekend Reflections. I was sitting at a stoplight at the bottom of the hill, waiting to turn left down the "twirly road." I looked up, gasped, grabbed my camera (sitting on the seat beside me) and clicked this HUGE square lurking in the skies just above my windshield. Such a strange thing to see something like this Through the Windshield. Though this is not necessarily geometric -- it is still an amazing formation in the sky. I took this photo over the back fence at Sunset this last Spring. Over a year ago, one early morning, while walking dogs with my Neighbor, I caught this extraordinary cubed shape indentation in the clouds . My camera is never far from my side--and so I was able to capture this amazing sight. My sister laughingly called it the "Borg" cloud. Suffice it to say, I had never seen a square in the skies before. 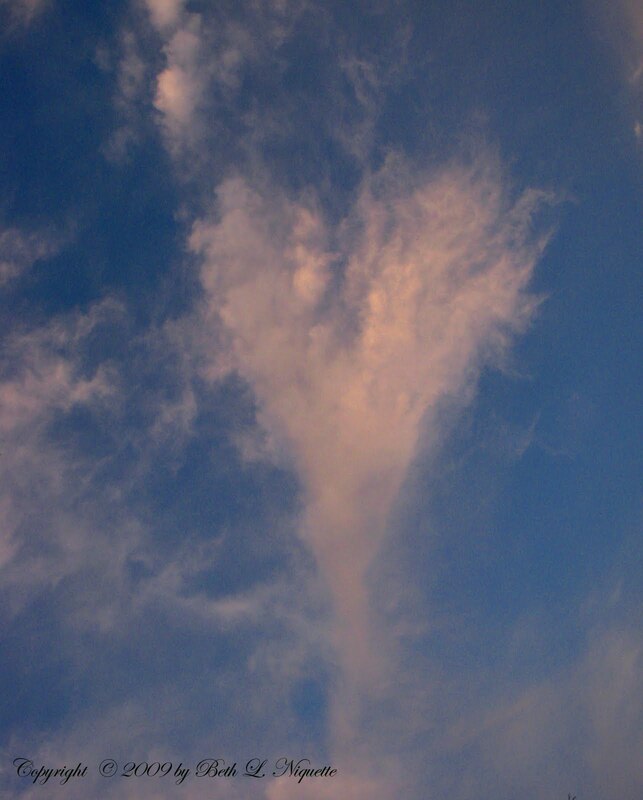 However, since that day, I have caught many additional geometric shapes in the clouds and in nature itself. I have created this blog to share these amazing photos.